Fresno, CA-In response to customer demand, Trail-Gear has manufactured a much needed OEM replacement component and filled another need in the Toyota off-roading industry. Trail-Gear is excited to announce the release of their brand new hubs for solid axle Toyota Pick-ups and 4Runners this week (Wednesday, April 11, 2012). Trail-Gear is the first manufacturer to produce this part since Toyota themselves. The Trail-Gear Solid Axle Hubs are forged and fully machined from 4130 Chromoly steel making them much stronger than Toyota’s original cast steel version. The Trail-Gear Solid Axle Hubs are brand new, not refurbished hubs from the salvage yard. They are available in two versions: a direct OEM replacement for use with locking hubs; or a pre-drilled version for use with Trail-Gear’s Creeper Flanges. The direct OEM replacement comes drilled and tapped with 2 dowel pins pressed in. The Creeper Flange hub comes drilled and tapped with 6 dowel pins pressed in for use with Trail-Gear’s Creeper Flange. 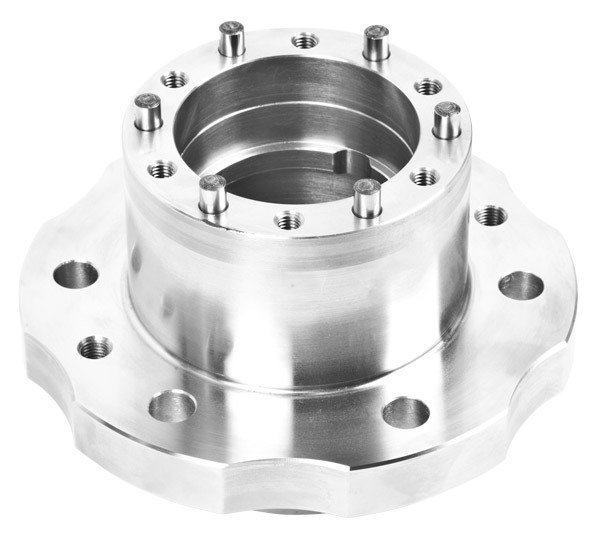 Trail-Gear Solid Axle Hubs can be purchased individually or in a set of two. Trail-Gear is also introducing a class 10.9 rated replacement Wheel Stud for front axle application. These studs feature M12 X 1.50 threads and are sold individually. The release of these studs coincides with the launch of the Trail-Gear Solid Axle Hub as they are perfectly suited for use with the hub. The design and development for these products were done at Trail-Gear, Inc. in Fresno, California. Trail-Gear exhaustively tests all of their products at some of the world’s hardest courses, such as “The Hammers” in Johnson Valley, California and the Rubicon Trail in Lake Tahoe, California. Interested parties may purchase the Solid Axle Hubs and Wheel Studs from any authorized Trail-Gear dealer or via the Trail-Gear website www.trail-gear.com. The Trail- Gear Solid Axle Hubs retail individually for $149 or as a pair for $250 and the Wheel Stud retails for $4.99 on the Trail-Gear website.